In the noon, arrive at Tusker Trails Resort. In the afternoon, enjoy a jungle safari in an open jeep for animal viewing. Stay overnight in the resort. 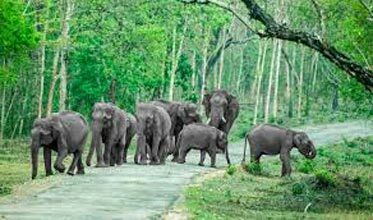 In the morning, enjoy an elephant joy ride/ drive to the jungle for bird watching and tiger tracking. Here one can enjoy good photographic opportunities. The jungle visit lasts for about 3 hours. Later, return to the resort for breakfast and lunch. One can stroll through the surroundings or go for a village visit. 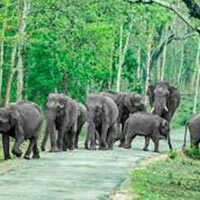 The afternoon is scheduled for wildlife exploration in Bandipur National Park. Stay overnight in the resort. In the morning, drive a jeep in the jungle. After breakfast, depart for onwards journey.